Abadía Retuerta LeDomaine is offering the wearable tech to customers. The Spanish five star exclusive abbey hotel and winery in Spain’s Duero wine region, dating back to 1146, is providing guests who visit its 900 year old property with Google Glass, and is the first hotel in Europe to do so. The hotel has eight of the wearable devices. The smart glasses are provided to guests so that they can obtain more from their experience at the hotel, which is well known for its architecture and art collection. During their stay, guests with the devices can watch videos about the hotel, take photos, videos, surf the web, make phone calls, and so on. When it is time for them to leave, guests can keep any of the personal files that were stored on their device, which is downloaded to a memory stick and given to them at checkout. 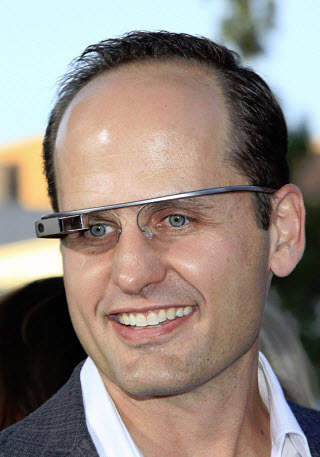 This is not the first time Google Glass has been utilized within the travel industry. Other examples of Glass being used in the travel industry include Starwood’s app for Glass and Spanish OTA Destination’s app, which enables users of the device to book a nearby hotel. Additionally, Virgin Atlantic has used the wearable tech to receive its guests. As was previously mentioned, guests at the hotel can enjoy different apps and functions when using Glass. In addition to snapping photos with a blink of an eye or giving a verbal command, they can watch videos including the LeDomaine art tour and can stargaze using the location-based app that will provide users with the ability to see the alignment of the stars above them at any time of the day or night. As new apps become available for Google Glass, LeDomaine intends to add them to their devices for patrons to enjoy.